From faculty to students, there are many like-minded people at Ross and the University at large who share your passion for making a social impact. Cheri Alexander is the Executive Director of Corporate Learning at the University of Michigan Ross School of Business Executive Education Department. She also teaches Leadership and Managing Human Capital in the Bachelors and Masters of Business Administration Programs. In addition, she teaches assorted leadership and HR topics for Executive Education. Prior to retiring from General Motors, she was the President of the General Motors University and Executive Director Global HR. Associate Dean Jerry Davis currently has a book out called “The Vanishing American Corporation: Navigating the Hazards of a New Economy.” He also teaches a course at the Ross School of Business on “social intrapreneurship” that draws on social movement research to provide a framework for leading socially-beneficial changes in organizations, including in their products and services, logistics and other processes, people management practices, and community engagement. His research has examined global corporate responsibility and, most recently, how and why businesses engage with their local non-profit communities, for better or worse. He is an expert affiliate of Poverty Solutions, University of Michigan’s major initiative dedicated to the prevention and alleviation of poverty. Dr. Michael Gordon is the Arthur F. Thurnau Professor of Business Administration, past Associate Dean for Information Technology, and Faculty Director of Business Impact. His teaching and research focus on solving societal problems through enterprise. Gordon is co-author of the Base of the Pyramid Protocol, which guides companies wanting to co-create new businesses with local communities and organizations in the developing world. He has been involved in BoP Protocol efforts in Kenya, South Africa, and Flint, Michigan. He has also published empirical research about the scope and extent of current involvement at the base of the pyramid, how BoP activity depends on innovation, and how it benefits firms and local communities. He is an expert affiliate of Poverty Solutions, University of Michigan’s major initiative dedicated to the prevention and alleviation of poverty. Dr. Gautam Kaul is the founding Managing Director of the Social Venture Fund (SvF) housed in the Samuel Zell and Robert H. Lurie Institute of Entrepreneurial Studies. He has published extensively in the top journals on topics covering a wide spectrum of finance and is a leader in developing Massive Open Online Courses (MOOCs) on Coursera. He was awarded the Senior Faculty Research Award for sustained, exceptional, and continuing contributions to scholarly research in the field of business, and noteworthy contributions to building and maintaining a strong research environment at the Ross School of Business. An internationally recognized expert on the intersection of business strategy and poverty alleviation, Professor Ted London focuses his research on building better ventures that have meaningful poverty reduction impacts in base-of-the-pyramid markets. Over the past two decades, London has also directed or advised dozens of leadership teams in the corporate, non-profit, and development sectors on designing and implementing on-the-ground business strategies in low-income markets. He is an expert affiliate of Poverty Solutions, University of Michigan’s major initiative dedicated to the prevention and alleviation of poverty. Professor Weiss’ research is focused on public management and public policy. She has published over fifty papers and chapters in academic journals on the roles of information and ideas in the policy process. She has also done extensive research on the challenges of public management, and the interplay between policy design and the management of public programs. She was Associate Dean of the Business School between 1992 and 1997, with responsibility for the doctoral program and research, and before that served as Associate Director of the Institute of Public Policy Studies at Michigan (before it became the School of Public Policy). Professor Allan Afuah has authored six books. His latest research focuses on how crowdsourcing, multi-sided platforms, and business model innovation can be used to explain how to create wealth, even in countries that have remained desperately poor despite being heavily endowed with natural resources. Professor Ravi Anupindi’s main research areas include supply chain management, strategic sourcing, supply chain risk, lean operations, supply chain sustainability, value chains for economic development and health care delivery in low and middle income countries. Under a USAID grant, he has assisted University of Johannesburg in South Africa develop a graduate degree program in Supply Chain Management. Joe Arvai is the Max McGraw Professor of Sustainable Enterprise, and the Director of the Erb Institute for Global Sustainable Enterprise at the University of Michigan. Joe and his team conduct research focused on developing and testing decision-aiding tools and approaches that can be used by people to improve decision quality across a wide range of environmental, social, and economic contexts. Norm Bishara teaches business law and business ethics at the Ross School, where his research is focused on human capital law and policy, corporate governance, and corruption issues. He has previously taught nonprofit management and presented on international nonprofit and social enterprise issues with the William Davidson Institute. Professor Bishara has coached the Ross BBA nonprofit case competition team and covered social entrepreneurship, base of the pyramid, CSR, and related issues in both his BBA and graduate-level business ethics classes. He volunteers with several local nonprofits, including Growing Hope, the Neutral Zone, and the Ann Arbor Area Community Foundation. Professor Buchmueller is a health economist who is an expert on the economics of health insurance and related public policies. He has done extensive research on the link between health insurance and the labor market in the U.S., consumer demand for health insurance, the interaction between public policies and private insurance markets, and health care reform. He is an expert affiliate of Poverty Solutions, University of Michigan’s major initiative dedicated to the prevention and alleviation of poverty. Professor Clyde’s recent work in emerging markets has focused on health care delivery to the poor in emerging markets. Over the past fifteen years he has advised or run 70 health-care projects in twelve different low or middle-income countries. He has worked with faculty from the Medical School, Nursing School and Law School in developing a financially self-sustainable health care business model that serves the poor. Thomas Gladwin’s current and future research centers on establishing and promulgating a science of sustainable enterprise, a new transdisciplinary field addressing relationships among ecosystems, social systems, economic systems and organizational systems. David Hess’ research and teaching are in the areas of corporate social responsibility, business ethics, and related corporate governance issues. He has conducted research on the governance of public pensions in the United States and in developing countries. In the near future, he plans to investigate the issues surrounding the new legal structures for hybrid organizations (e.g., low-profit, limited liability companies, etc). Dr. Andrew (Andy) Hoffman is the Holcim (US) Professor of Sustainable Enterprise at the University of Michigan; a position that holds joint appointments at the Stephen M. Ross School of Business and the School of Natural Resources & Environment. Professor Hoffman’s research uses a sociological perspective to understand the cultural and institutional aspects of environmental issues for organizations. In particular, he focuses on the processes by which environmental issues both emerge and evolve as social, political and managerial issues. Professor Karnani’s interests are focused on three topics: strategies for growth, global competition, and the role of business in society. He is interested in global competition, particularly in the context of emerging economies. Karnani researches poverty reduction and the appropriate roles for the private sector, the state and civil society. He is interested in how society can strike the appropriate balance between private profits and public welfare in tackling major societal problems. Professor Aradhna Krishna’s research focuses on how sensory inputs impact consumers’ perceptions, judgements and decisions. Dr. Krishna also studies how contextual factors and design interfaces affect behavior with a focus on food and health, corporation social responsibility and donation, and voting behaviors. Professor Bill Lovejoy has worked with companies on new product development, the management of innovation, and process assessment and improvement; and with hospitals and clinics on health care operations. He is currently the faculty co-director for the University of Michigan’s Master of Entrepreneurship degree and an expert affiliate of Poverty Solutions, University of Michigan’s major initiative dedicated to the prevention and alleviation of poverty. Professor Lyon is a leader in using economic analysis to understand corporate environmental strategy and how it is shaped by emerging government regulations, non-governmental organizations, and consumer demands. His current research focuses on corporate environmental information disclosure, greenwash, the causes and consequences of renewable energy policy, and voluntary programs for environmental improvement. His teaching experience includes energy economics and policy, environmental governance, non-market strategy, regulation, managerial economics, business and government, game theory, business strategy, and the management of innovation. Professor Mayer’s research interests concern social and ethical issues in organizations. Specifically, he conducts research in three major areas: (1) behavioral ethics, (2) organizational justice, and (3) workplace diversity. A hallmark of his research is a focus on the effects of the organizational context (e.g., leadership, coworkers, climate) on employees’ unethical and pro-social behavior. Professor Melville has over 20 years of experience researching, teaching, and consulting on the topic of organizational transformation enabled by digital information systems. His recent research examines how the information systems field could help society and business interests make the transition to a sustainable world. Dr. Purnanandam’s research covers a wide range of topics in financial intermediation and corporate finance. His recent research work is mostly related to banking, the subprime crisis, and mortgage finance. He is especially interested in studying the role of financial regulation and markets in promoting financial inclusion and growth in minority and low income areas. He is an expert affiliate of Poverty Solutions, University of Michigan’s major initiative dedicated to the prevention and alleviation of poverty. Much of Professor Schipani’s research has focused on women in business leadership positions. Her research has also included analysis of directors’ duties utilizing tools of financial economics, consideration of specific issues confronting directors of financial institutions, analysis of the corporate fiduciary duties of care and loyalty, issues of liability for environmental violations and ethical links between corporate governance and sustainable peace. Professor Eric Schwartz’s expertise focuses on predicting customer behavior, understanding its drivers, and examining how firms actively manage their customer relationships through interactive marketing. His research in customer analytics stretches managerial applications, including online display advertising, email marketing, video consumption, and word-of-mouth. His work has taken him to Detroit and to Flint for work in the water crisis. Valerie Suslow is a champion of social impact, focused on tax policy in the context of social goals. A portion of Suslow’s research is also concerned with a variety of issues at the intersection of international cartel operations, international antitrust policy, and international trade policy. Walsh examines cross-level relationships: the influences between and among individuals, organizations, and society. Additionally, his work looks at how business leaders can make the world a better place. Broadly, how organizations enhance or undermine well-being is the study of corporate governance. His research explores the purpose, accountability, and control of the firm (and even more generally, business itself) in society. Professor Zimmerman’s career has spanned academia, government and business. He served on the National Commission on Energy Policy and also served as a Senior Staff Economist on the President’s Council of Economic Advisors, and as a member of the Panel of Economic Advisers to the Congressional Budget Office. He is presently the Chairman of the Board of the National Bureau of Economic Research. His research is concerned with energy policy, government regulation of business and economic developments in the automotive industry. Glenn manages the marketing and communications for the Center. He has worked with a variety of local and national nonprofits in member services, events and marketing roles. He worked for Michigan Ross in Executive Education and the Marketing Communications prior to coming to Business+Impact. His work with nonprofits like the Illinois Council Against Handgun Violence, Microsoft Healthcare Users Group, the Ann Arbor Symphony and Ann Arbor Civic Theatre has prepared him for the diverse offerings of the Center and the marketing channels utilized. Glenn has an MFA from Purdue and a BA from the University of Michigan. Prior to joining WDI, Paul Clyde served as the academic director of the part-time MBA program at Michigan Ross and as an economist in the Antitrust Division at the U.S. Department of Justice. Over the past 15 years, he has advised or directed more than 80 healthcare, education and finance projects in more than a dozen low- and middle-income countries. Clyde received his doctorate degree in economics from the University of California, Los Angeles and his bachelor of business administration from Indiana University. Diana is a great ‘cheerleader for impact’, setting a vision for excellence and leading admissions to recruit, evaluate and select high-potential Full-Time MBA candidates while keeping school’s goals of fit and diversity in mind. She strengthens relationships with 400+ alumni, 300+ current students and internal stakeholders to enhance prospective student engagement, promote yield, and strengthen the overall Michigan Ross brand. A graduate of Michigan Ross, Diana participated in social impact activities while a student here. In 2012, Brian became the school’s first managing director of the Ross Leadership Initiative (RLI), which was founded to serve the leadership developmental needs of MBA students.Since 2015, thanks to a generous gift from the Sanger family, Brian has had the opportunity to build the Sanger Leadership Center. As managing director of the center, he leads an outstanding team of professionals who collaborate with Ross’s top-ranked leadership faculty to develop the leadership mindset, skill set, and personal vision of our students, from undergraduate freshman to senior leaders in the Executive MBA program. Sarika Gupta leads the development and execution of the Zell Lurie Institute’s student-oriented programs. In this role she also advises U-M student teams to help them advance their businesses. Sarika has extensive start-up experience as a manager, mentor, and coach. Sarika has extensive start-up experience as a manager, mentor, and coach. She served as President & CEO of Dance Telephone – a group party game, COO of V-teractive – an online gaming start-up, and Associate at MyBandStock.com – a site that delivers exclusive digital access to music fans. Additionally, she was a Senior Quantitative Research Associate at Cambridge Associates for 3 years.Sarika holds a BSE in Mechanical Engineering from the University of Michigan College of Engineering and an MBA from the University of Michigan Ross School of Business. In her role as managing director of the Business+Impact Initiative, Cat leads the team in their work across the school and the University to develop and support impact-related activities. Her career spans nonprofit, social enterprise, and higher education leadership, with a focus in workforce development. Prior to joining the Business+Impact team, Cat was Chief Operating Officer at Detroit-based social enterprise Empowerment Plan. 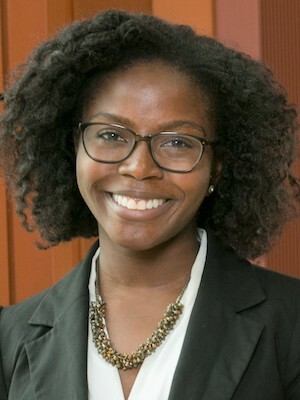 She has also worked previously at the Ross School of Business on social enterprise and social innovation programming, and with social enterprises in the U.S. and around the world. Catherine earned a BA, MBA, and MSW from the University of Michigan. As program director, Matt leads the advancement of Business+Impact’s engagement with students, faculty, staff, and partners across multiple schools and colleges. Previously, Matt’s work focused on sustainable food systems and the organic products industry while at an organic certification agency and at a university in Pennsylvania. He also worked for the Thailand Development Research Institute and the Michigan Environmental Council. He earned his BA in International Relations with a Specialization in Science Policy from Michigan State University. Terry leads the Erb Institute’s staff of seven to design and deliver sustainability impact across research, teaching and business engagement. The institute’s five-year strategic plan expands Erb’s traditional focus on strictly environmental sustainability to also consider social, labor and human-rights risks and opportunities for business. Likewise, Terry has expanded the geographic perspective of the institute’s work, to highlight the accelerating impact of emerging markets on sustainability worldwide. Taryn has over 16 years of progressive experience with the University of Michigan. Most recently, she served as the Director of the Co-Curricular Portfolio with The Program on Intergroup Relations. Taryn received a B.S. in Interpersonal Communications with a minor in psychology from Eastern Michigan University and a M.S. in Education with a concentration in College Student Affairs from Eastern Illinois University. She is passionate about creating inclusive spaces for individuals to explore their own social identity development and has a gentle way of challenging others to step out of their comfort zone to reflect on their own identity, family background and personal experiences. Chris White leads the Center for Positive Organizations at the University of Michigan. The Center helps leaders build high-performing organizations that bring out the best in people through ground-breaking research, educational programs, and organizational partnerships. White has been leading and consulting to purpose-driven organizations for 15 years. His career has spanned the non-profit, corporate, and philanthropic sectors. A graduate of Michigan Ross, in 2017, Dimitri’s background with ClassPass in New York City and his interest in social causes make him a uniquely qualified source for career placement in social impact.